Reimbursement: the biggest challenge in personalised medicine? As part of our personalised medicine focus month, we speak with Anne Bruinvels, who has founded four companies in this area and was Executive Director for the European Personalised Medicine Diagnostics Association. For a long time, the pharmaceutical industry focused on blockbuster models and the term ‘personalised medicine’ was seen as hype, just a trend that no one took seriously. Yet, children are taught from a young age that everyone is an individual and that it is okay to be different. So why is the healthcare industry only just catching up? We speak with Anne Bruinvels, CEO of Elixior, who has founded four personalised medicine companies in her career and was the Executive Director for the European Personalised Medicine Diagnostics Association. Anne shares her thoughts on the importance of healthcare aimed at an individual instead of a large patient population, as well as her thoughts on some of the main challenges facing the industry in this new personalised era. HB: Hello Anne, it’s lovely to speak with you today. So what inspired you to get involved in the pharmaceutical industry? AB: Oh well this goes back to the very early days. I was always interested in finding out how drugs work, and how you can actually develop better drugs. So as a student I moved into the pharmaceutical industry to do little bits of research. And then I moved on and actually stayed there for a while. The pharmaceutical industry is some place where I’ve been for probably over 20 years, so it’s been very inspiring. HB: Throughout your career you’ve founded four personalised medicine companies, as well as working in the role of executive director for the European Personalised Medicine Diagnostics Association. Why did you choose to specialise in personalised medicine? AB: When I was doing research, I started off in central nervous system disorder research, and it became very clear that lots of patients don’t respond to particular drugs, and also that certain patients experience various side effects. And because of that it become clear that no one is equal. This was at the time when the human genome project was started, and we had a lot of work going on at the company where I was at the time in genome sequencing. It became very clear that differences between individuals are very significant when it comes to response to particular drugs. And that was really in the mid 90s, so by the late 90s, it became clear that we should actually adjust our research methods, and rather than just comparing disease then control individuals. In the beginning of the 2000s, the term ‘personalised medicine’ wasn’t used very much, as itwas considered a huge hive and a word you shouldn’t really be using when you were doing research. This was a time when people were still interested in identifying blockbuster drugs. So it was hard to get started in this, but for me it was very obvious that in order to develop more effective and safer drugs, personalised medicine was the way forward. So I’m really pleased that things have changed a lot in the past decade or so, and that this is the focus of a lot of companies that are around at the moment. HB: You have already touched on this subject a bit, but why is the research and development side of personalised medicine so important? AB: Well I think it’s actually good you have that question there. It focuses on why and perhaps even how we can develop these more effective drugs. I think as I said before not everyone is the same and we need to start to look into the actual disease pathologies and the disease mechanisms of why a particular person gets a disease. And this may be different from why their neighbour gets the same type of disease, as in the same label, but a different subtype of the disease. Now we have many more tools than we had 10 / 15 years ago, in order to really delve into subtypes of diseases. And I think this is why R&amp,D is so important in shaping the future of medicine, as we will hopefully experience it in the next 10 or 15 years. It will really mean that rather than saying we’re studying asthma, or we’re studying diabetes, we’re studying the particular mechanism that gives rise to a particular type of asthma, or that gives rise to a particular type of diabetes. So I believe this is where it all has to come from, and that is why I really believe that research and development in this area, particularly research and discovery is so important. HB: One of the main issues of personalised medicine is getting products reimbursed, so how can this issue best be overcome? AB: You’re absolutely right. In Europe, the reimbursement is highly complex, and at the moment it’s really hampering access to more personalised medicines, and also to the diagnostics that are used to identify which type of drug you should get. Both those angles are actually not well covered by the insurance companies here. In the US, it’s slightly different. There you do have some reimbursement, but not the right codes are being used, so for example new diagnostic tools don’t have a code so they bring them under a non-specific code, which is also not ideal. But in Europe it’s much worse in that there is not even a route to get these drugs reimbursed, and often the hospital themselves, or the tests I should also say, hospitals themselves pay these out of their little spare pot of money. So it is a real issue. How can we really tackle these? It becomes a matter of informing the insurance companies, and showing them with cost-effectiveness research most likely, that they’re going to save money by reimbursing these new tools and drugs, and that actually the better treatment of these patients is going to make a real difference in their own financial picture. So it makes sense to inform these patients better and then to find ways that we can actually do this type of cost-effectiveness research. In the US, we have a number of new ways to do this, there’s a new centre that’s been set up to look at patient outcomes research, which is huge, and it’s been funded very well by the Obama administration. In Europe, we don’t have such a thing yet, it’s dependent on all the different nation states, and that means that all the 27 different member states have their own way in reimbursing this. We should see if we can actually set up something in Europe to generate this type of outcomes research, which can support the decisions that are made in each different country. HB: Are there any other issues, such as regulatory or policy issues, facing the personalised medicine sector at the moment? AB: Again, either sides of the pond, we really don’t have a clear way at the moment that’s been approved in how to move these drugs and tests, particularly the personalised medicines drugs and tests, through the approval path. The FDA is talking about this at the moment. There is not a clear route forward at the moment, but there are a number of guidelines that have been written, and there are a number of proposals that have been made, and changes are happening, and it could be sooner rather than later that we see a new approval route for both the personalised medicine drugs as well as the companion diagnostic tools, that they can actually be approved and come onto the market at one time. Here in Europe it’s more fragmented, and we don’t have a particular approval route for diagnostic tools. What you need to get in Europe is the CE mark, which is a relatively straightforward process. You need to have a good clear product description, and then it doesn’t need to take an awful lot of time. But at the same time we know that’s going to change, so the rules are being rewritten, the regulatory authorities are currently working on a process that would enable us to get diagnostic tools approved in Europe, and so that’s different. And at the moment it’s not organised within the same body as the drug approval route, and the drug approval route is obviously taken care of by the EMA. It’s really important that we continue to coordinate the route for the approval of both the diagnostic tool as well as the personalised medicine drugs in Europe. HB: Are there many differences in the development of personalised medicine in Europe compared to the rest of the world? AB: I would have to say no, there’s not a real difference in the development of these personalised medicines in Europe versus the rest of the world. Everywhere tries to do the most appropriate clinical trials, and in some places in Europe they are very well done, and very good and effective trials are being done in some places in the US, and also in other parts of the world. So I would say there’s not really a difference at that level, the real differences are with respect to, as you rightly asked previously, the route to approval and also the reimbursement. So those are the main issues, because in Europe we have a more fragmented situation than in the rest of the world. HB: How can pharma better engage with patients in order to successfully drive forward personalised medicine? 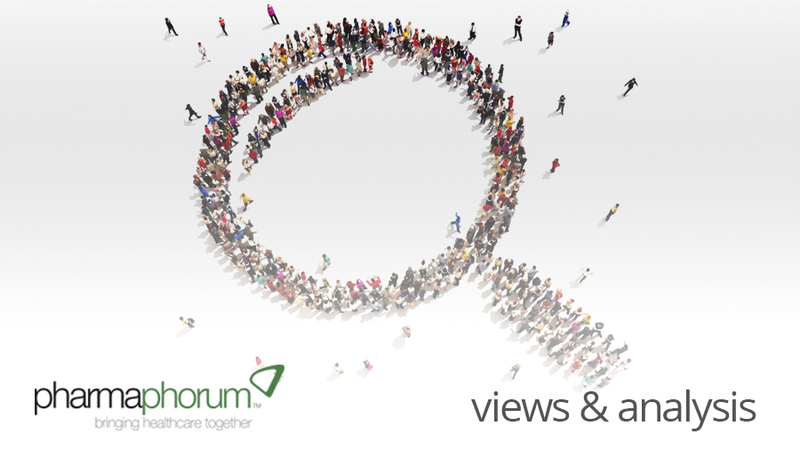 AB: How can pharma better engage with patients? Well first of all, I think what pharma can learn from all these developments that we’ve seen over the past 10 years or so, is that it does make sense to apply your stratification tools to your clinical trial. We still have an enormous number of field trials where the company doesn’t look at the data to see why certain patients have responded and others haven’t. Pharma is well geared up to do these types of analysis, as they employ genetic genomic tools, or other tools that analyse samples of patients, to see why they have responded to a particular drug and not to another, or why their particular drug has failed to work in some patients and not in others. It then becomes really important that they actually recruit the right patients for the trials. There are some fantastic stories where companies have done it right, and where people who really have no life expectancy at all, because they had a particular type of very severe untreatable cancer, could actually partake in a particular clinical trial and have their cancer treated successfully, and are still alive. I would recommend the pharmaceutical industry to really be clear about the type of trials they do, and inform patients through the patient advocacy groups about the trials they have ongoing, and see if these patients can actually register for these trials, and have a better life expectancy as a result. HB: Finally, where do you see pharma in 10 years’ time? AB: Well that’s a very interesting question. I hope that pharmaceutical companies are going to take the use of companion diagnostics, and other diagnostic tools to sub-classify their patient populations, very seriously. I hope that they will look at smaller patient populations that can be treated with the most effective drugs, and where people can actually be selected not to experience particular side effects. I hope that pharma will continue to invest really heavily in this more effective and safer way to treat patients, because at the end of the day countries worldwide can only afford that much of healthcare costs, because it’s going to be too expensive, so if we can make it all more cost effective and treat the patients better that would be the best result. So I think pharma hopefully will look more like, companies such as Roche, where they take personalised medicine and the development of diagnostic tools very seriously. And I also hope that pharma continues and invests more heavily into companies that do develop these diagnostic tools, because they are the ones that they need in order to select the right patients for the trials and to select the right patients on the marketplace to have their drugs work well with the most limited amount of side effects that’s possible. Overall, I hope that pharma will continue down this route, and develop drugs that are truly effective. HB: Thanks for sharing your thoughts with us today Anne. AB: Thank you very much, pleasure talking to you. Dr. Anne T. Bruinvels is the founder and CEO of Elixior. Previously, Anne Bruinvels founded Curidium, a personalized medicine company focused on identifying companion diagnostics and therapeutics to treat patients with central nervous system disorders more effectively. She started Curidium’s business activities in 2001 and raised several rounds of angel funding before taking the company public on the AIM of the London Stock Exchange in 2006. Anne was Curidium’s CEO until late 2007, when she took on the role of Chief Scientific Officer. In March 2009, Curidium was sold to Avacta Group plc., a York (UK)-based diagnostic services provider. Prior to founding Curidium, Anne was Scientific Director, Business Development at Pharmagene (now Asterand), where she contributed to the growth of the organisation from private start-up to publicly listed biotechnology company. Previously, she has led research groups, as Head of Neurogenetics, SmithKline Beecham Pharmaceuticals (now GlaxoSmithKline) and as Head of Neuroanatomy and co-leader of global schizophrenia research at Wyeth. Anne was awarded a PhD scholarship at Sandoz Pharma (now Novartis) and obtained her PhD (neuroscience) from Utrecht University (the Netherlands). She was presented with the London Biotechnology Network “Young Entrepreneur of the Year Award” in 2003. Is reimbursement the biggest challenge in personalised medicine?